"We know perfectly well why our black seamen will not be taken into account as volunteers for the Invasion. All the volunteers will enjoy the same work and pay conditions - thus black people too, and this is what the high bosses of Congo do not want". During the Second World War, Congolese soldiers came into contact with foreign soldiers. This way, they saw that things could be different. The Congolese had high expectations after the war, that were never or only poorly met. 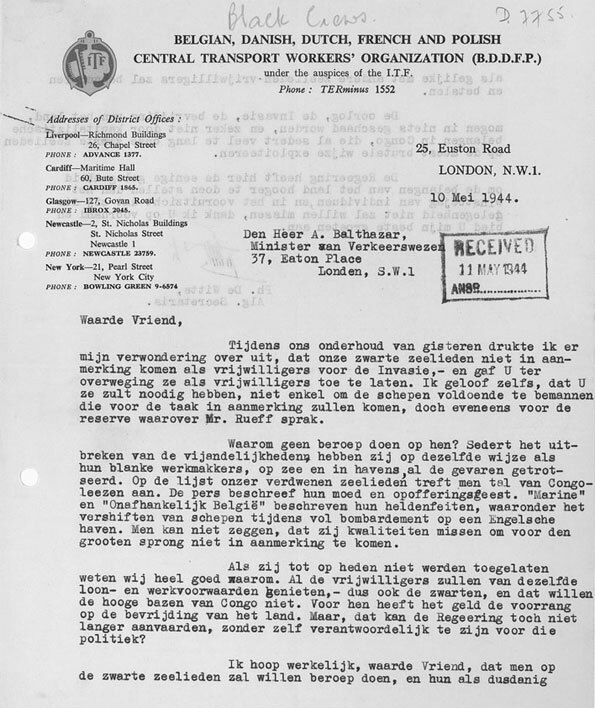 Those Congolese seamen who came into contact with Europe and the Wests during their travels did not keep their impressions for themselves upon their return. 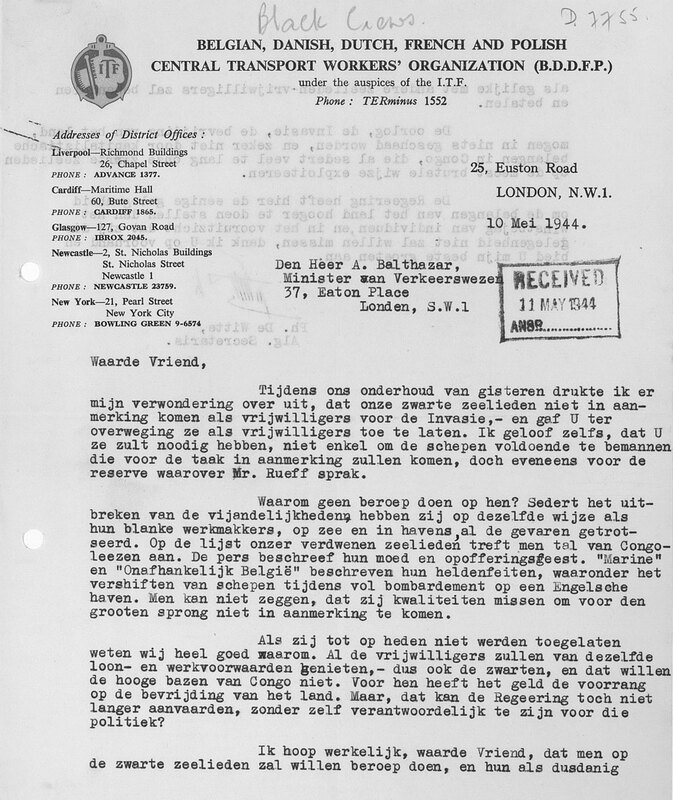 Letter of the Belgian, Danish, Dutch, French and Polish Central Transport Worker's Organization to the Minister for Transport in London, 1944. NAB, Archives of the Maritime Administration, no. 9169.